As part of the Jefferson Civic Leadership Academy, participants develop their leadership skills by engaging in research to address critical issues facing their community. After careful consideration of various topics, the preliminary topic for this year was chosen by the Civic Leadership Academy alumni to address poverty in Erie County. The research, form, and execution of the project, however, is at the discretion of the 2018 cohort. In 2018, JCLA participants applied the lessons learned from the program to a group action project focused on Poverty in Erie County, which yielded the creation of a Community Poverty Index. This project identified and addressed structural impediments to elevating the economic status of people living in poverty by examining a selection of resources in lowincome, middle-income, and high-income ZIP codes across Erie County. 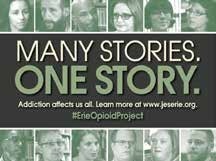 In addressing the opioid epidemic, the 2017 JCLA cohort produced the media awareness campaign, Many Stories, One Story, to change the conversation about addiction from one of demonizing stigma to one of encouragement and compassion. The participants interviewed recovering addicts, policy experts, and medical professionals in an effort to shed light on the crisis sweeping the nation. 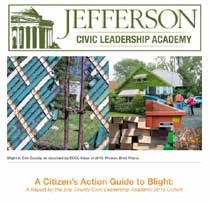 The 2016 JCLA participants drafted A Citizen’s Action Guide to Blight to highlight successful strategies for addressing blight undertaken by other cities and regions. The group’s work has since been cited in various meetings and remains a vital tool for the region’s leaders when discussing blight and how to combat it. The 2015 JCLA cohort explored forming a potential connection between Erie’s east side and the eastern part of Presque Isle. 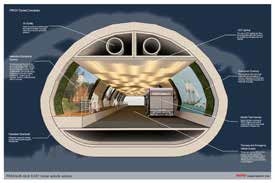 Their research led to numerous discussions and meetings regarding the feasibility to address the limited access to Presque Isle.